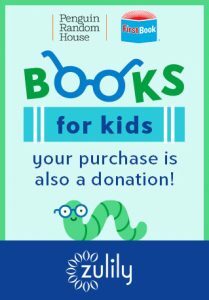 November is National Family Literacy Month, and as we all know, there’s nothing quite like the imagination-inspiring power of books – storytime is a treasured pastime for all, but many children may not have the opportunity to experience the magic of books. o Special sales events launched during the campaign will feature a curated selection of children’s books and each Penguin Random House book purchased labeled with the “BUY 1, GIVE 1” badge will trigger a new children’s book donation, up to 100,000 books, from Penguin Random House to First Book, a nonprofit social enterprise that provides new books and other essentials to children in need nationwide. 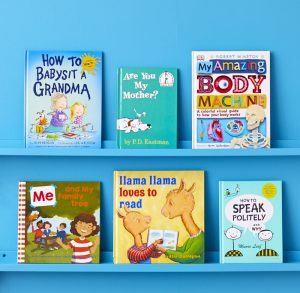 o Shoppers can visit zulily’s owned social channels to engage in a social call-to-action, through comments, likes or shares to also spark the “Give One” book donation from Penguin Random House to First Book. Credit: Information and Images: zulily. Compensation in some form may have been received to post.